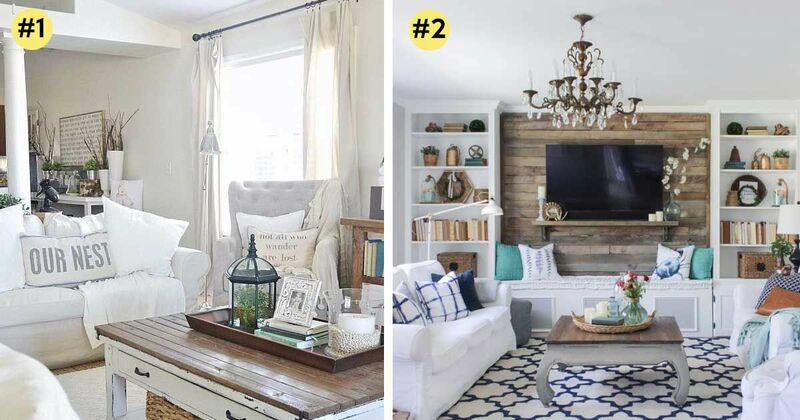 Are you obsessed with farmhouse rooms? You're not alone! The style is having a moment, and everyone wants this look in their home. It's comfortable and welcoming, and the best part is; it's one of the easiest designs to create. It doesn't require a perfectly matching color scheme or even a huge budget. 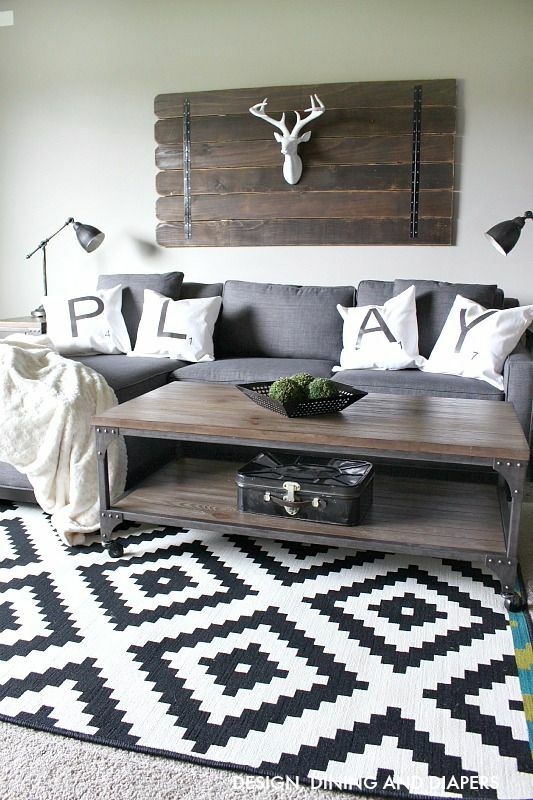 You can get that farmhouse look with thrift store finds, refurbished items, even hand-me-downs! 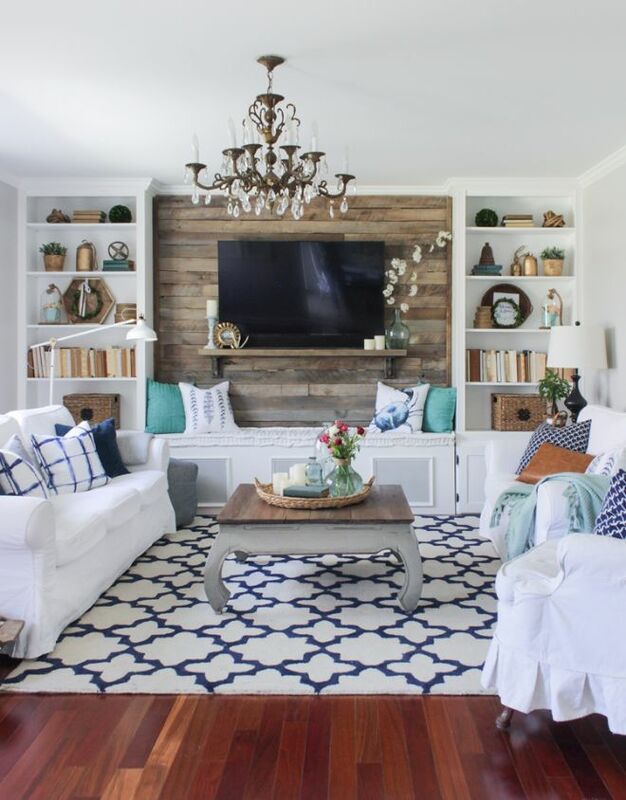 Start with mismatched furniture and neutral paint on the walls, throw in some rustic accessories, and top with a little reclaimed wood: and voila! You've got farmhouse style. 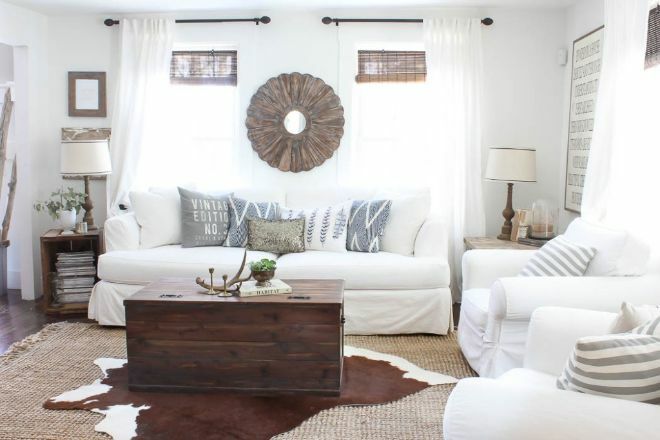 Check out these 12 beautiful farmhouse living rooms for inspiration. 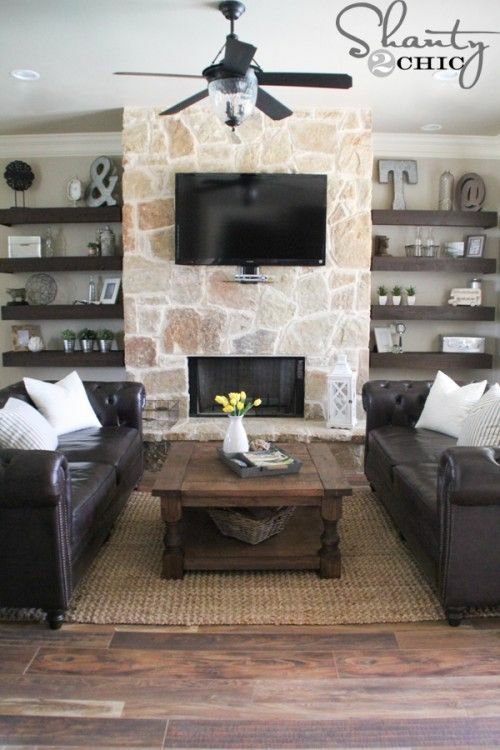 If you're looking to create a farmhouse living room, try incorporating re-purposed antique items. Here an old window is used as artwork above the mantle. 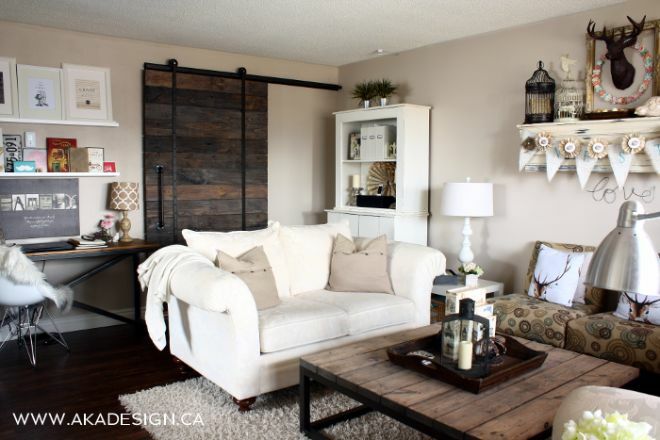 The sliding barn house door in this living room is the perfect example of farmhouse decor. Neutral furnishings and wood elements throughout the space help complete the look. This bright living room is mostly made up of whites and creams, but is far from boring. The use of different textures and nature-inspired accessories keeps things interesting. 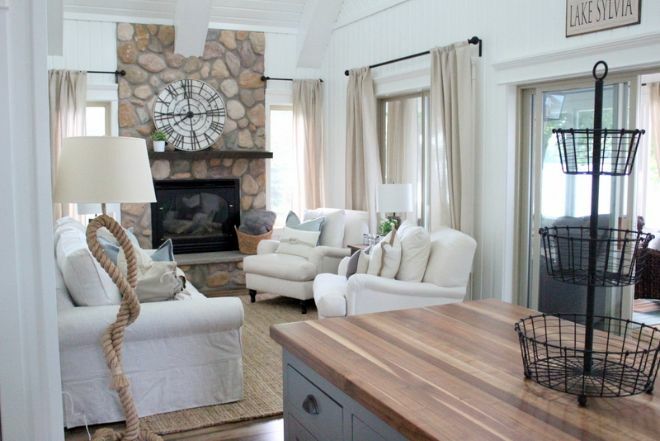 The focal point of this farmhouse living room is a gorgeous accent wall using refurbished wood. This rope lamp base and jute rug bring natural elements into the space; a key component of farmhouse style living rooms. The owner of this living room built her own open wood shelves for either side of the fireplace. 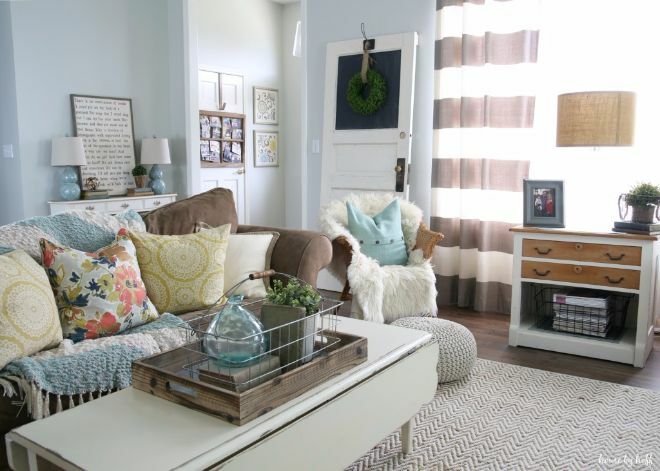 This classic living room has a farmhouse twist due to the sliding barn door and mismatched furniture. 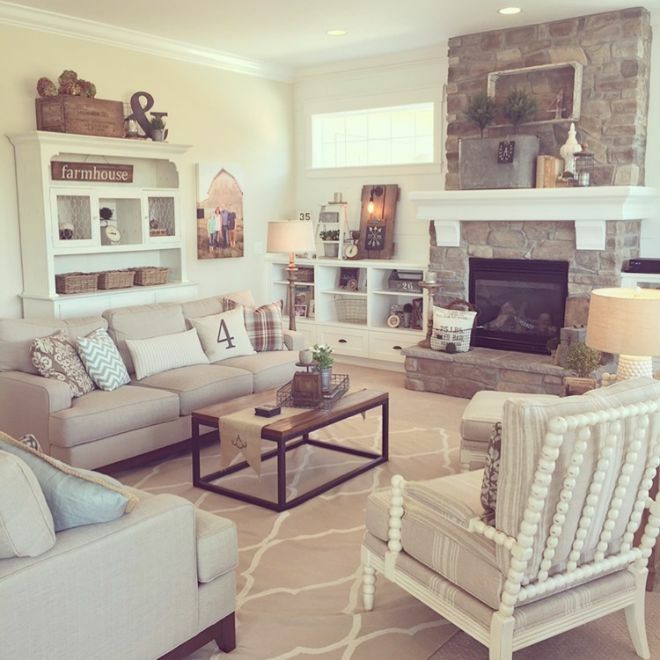 Many farmhouse rooms have a masculine look to them, but this living room shows that farmhouse can be feminine! Floral textiles and pastel colors give this space a lovely softness. This living room has a beautiful eclectic style that looks curated over time. 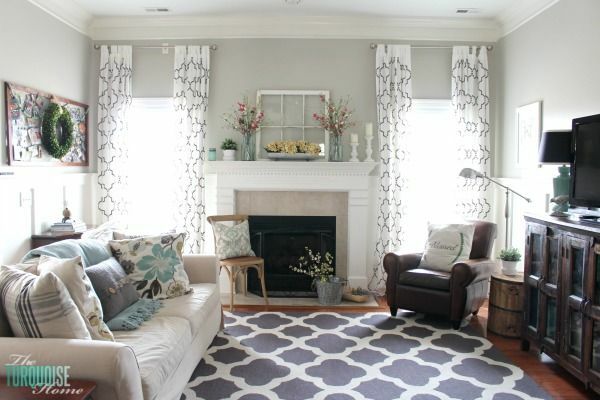 Layering rugs is a great way to bring in extra textiles. This space is a modern take on the farmhouse style. If you're going for the same style in your own home, keep the accessories simple and look for a bold graphic rug. 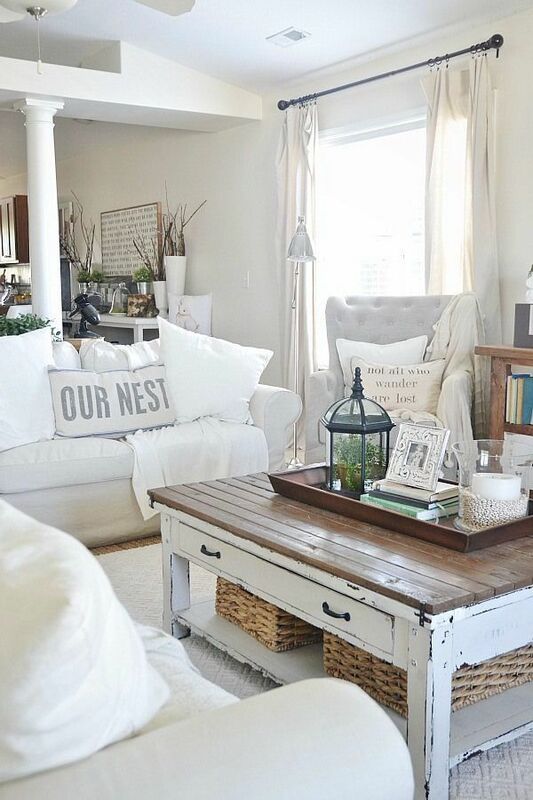 The rustic accessories in the living room adds the farmhouse style and keeps it from feeling too traditional. 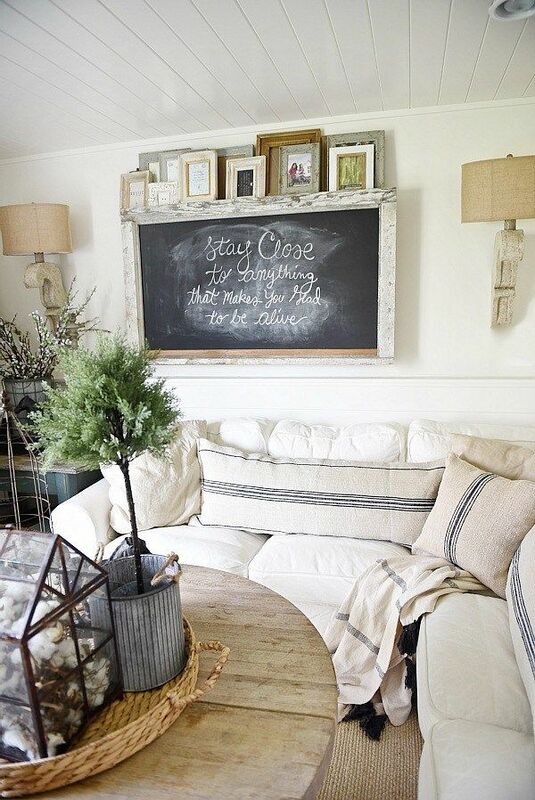 Think outside the box with wall decor like this rustic chalkboard. Even more farmhouse style is incorporated with the natural botanical accessories, burlap pillow covers, and a woven rug.